The Kaplan Center for Integrative Medicine offers patients acupuncture within the context of their entire treatment plan. Research has demonstrated that it can have direct and lasting positive effects on the body’s neurological (nervous), endocrine (hormonal), and immunological (disease-fighting) systems. In 1998, a Consensus-Conference Panel of the National Institutes of Health (NIH) found that acupuncture is an effective non-invasive modality in treating a variety of medical and pain problems, including migraines, osteoarthritis, and infertility. How Qualified Are the Kaplan Center Physicians? Is Acupuncture Accepted by Western Medical Professionals? Acupuncture is a practice of Chinese medicine that relies upon the therapeutic insertion of slender needles into the body to improve a person’s health. According to Chinese medicine, health is dependent on the balanced flow of “Qi” which is pronounced “chee” and refers to the vital life force within each person. Blockages or imbalances in Qi result in pain and illness. A thorough medical history and examination reveals the nature of these disturbances, so that acupuncture needles can be inserted in the proper points in the body to restore the balance and flow of Qi. An understanding of the anatomy and principles of acupuncture allow your practitioner to design a treatment program that meets your needs. In this way, it can help reestablish your good health and sense of well-being. Acupuncture can be useful for treating a large range of illnesses and pain syndromes, including arthritis, headaches, allergies, neck and backaches, coccydynia (tail-bone pain), fibromyalgia, and other joint or muscle pain. The therapy strengthens the body’s immune system; therefore, it also can alleviate immunological disorders such as asthma, allergies, Graves’s Disease, Sjogren’s Syndrome, and ulcerative colitis. Supporting the body’s immunological functions through acupuncture also can help restore a person to good health after surgery or shorten the duration of an infectious illness, such as a cold, sinusitis, or pneumonia. Cancer patients often find it can help relieve the symptoms of nausea, vomiting, and fatigue caused by chemotherapy. Acupuncture also can be effective in relieving problems such as chronic fatigue syndrome, dysthymia (general lack of well-being), sleep disorders, infertility, and menstrual irregularities, including menstrual pain and premenstrual syndrome (PMS). At the Kaplan Center acupuncture is also used by people who are looking for a natural, alternative way to reduce the signs of aging and improve inner vitality for a healthy appearance to their face. Cosmetic Acupuncture provides a non-toxic, non-surgical way of looking and feeling your best at any age. Acupuncture has also long been known to produce relaxation, reduce muscle tension, and increase mood. How? We know that acupuncture releases endorphins, our body’s natural opioids. These are largely responsible for the pain-relieving effect but these neurotransmitters also produce a relaxation response. Researchers at Georgetown University have shown that acupuncture in clinical models releases endorphins and lowered stress hormones including the sympathetic NPY peptide pathway. How Qualified Are The Kaplan Center Practitioners? Dr. Kaplan and Dr. Lilienfield are members of the American Academy of Medical Acupuncture, the organization that has established the training requirements for physician-acupuncturists in the United States. The Center’s physicians are not just experts in the clinical practice of acupuncture, they also are leaders in the field of medical acupuncture. 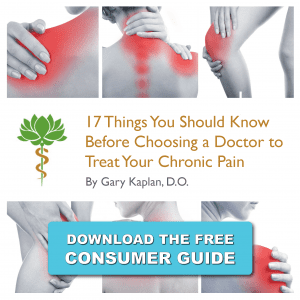 Dr. Gary Kaplan was a founding board member of the American Academy of Medical Acupuncture and also served as president of the Medical Acupuncture Research Foundation. Dr. Kaplan also has served as an advisor to the National Institutes of Health (NIH) on research and practice issues concerning acupuncture. Rebecca Berkson is a licensed acupuncturist and is NCCAOM Board certified in Acupuncture and Oriental Medicine. Her training includes traditional Chinese medicine coupled with anatomy and clinical sciences to provide the safest and most effective care to patients. Rebecca has also studied with teachers in different practices of acupuncture including traditional Chinese medicine, Five Element, and various styles of Japanese acupuncture. There are a variety of acupuncture disciplines or methodologies, and each has its strengths in terms of treating particular medical problems. Dr. Kaplan, Dr. Lilienfield and Rebecca Berkson are proficient in many acupuncture disciplines, including Traditional Chinese Medicine, French Energetics, Auricular, Five-Elements, Scalp, and Neuroanatomic (Craig Percutaneous Nerve Stimulation or CPNS) Acupuncture. Initially viewed with skepticism in the West, research on acupuncture has indicated that its analgesic effects are linked to stimulation of various neuropathways and neurochemicals associated with pain control. Western medicine has come a long way in appreciating that acupuncture can have direct and lasting positive effects on the body’s neurologic (nervous), endocrine (hormonal), and immunologic (disease-fighting) systems. In 1998, a Consensus- Conference Panel of the National Institutes of Health found that acupuncture is effective in treating a variety of medical and pain problems. Acupuncture services at the Kaplan Center are available for patients and non-patients. Please call 703-532-4892 if you would like to schedule an appointment.